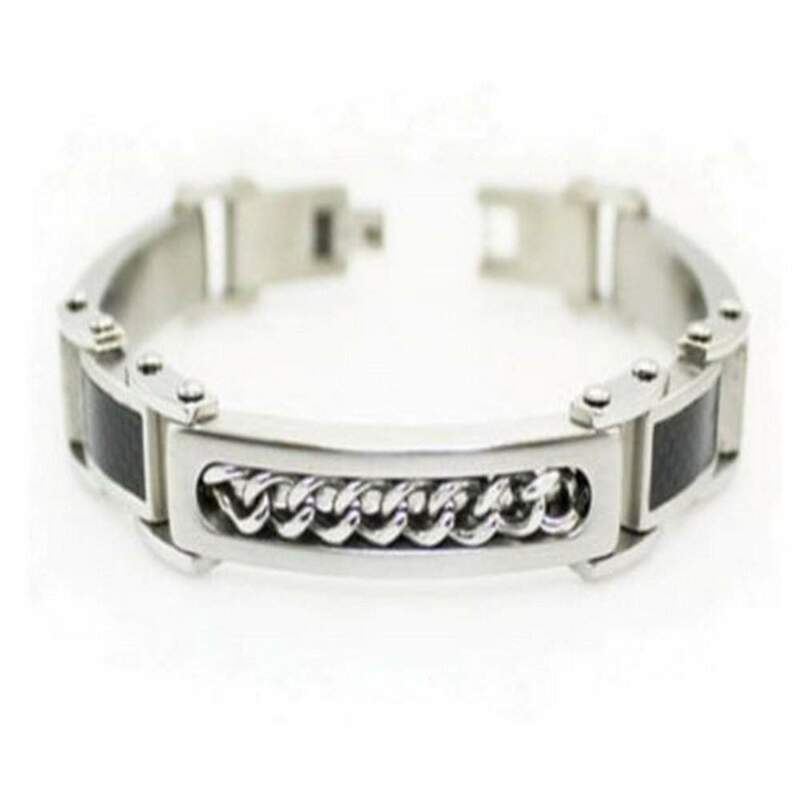 Tough with a hint of vintage style, this stainless steel bracelet for men is an instant classic. Three large rectangular links hold stainless steel cable chain inlay, and are accented by two smaller links with black carbon fiber inlay. This brushed finish stainless steel bracelet measures 13mm by 8.5 inches long, and is finished with a fold-over clasp.